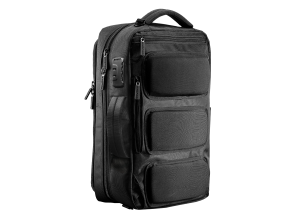 As important as bringing all your stuff with you is to guarantee that you will find it when you need it. 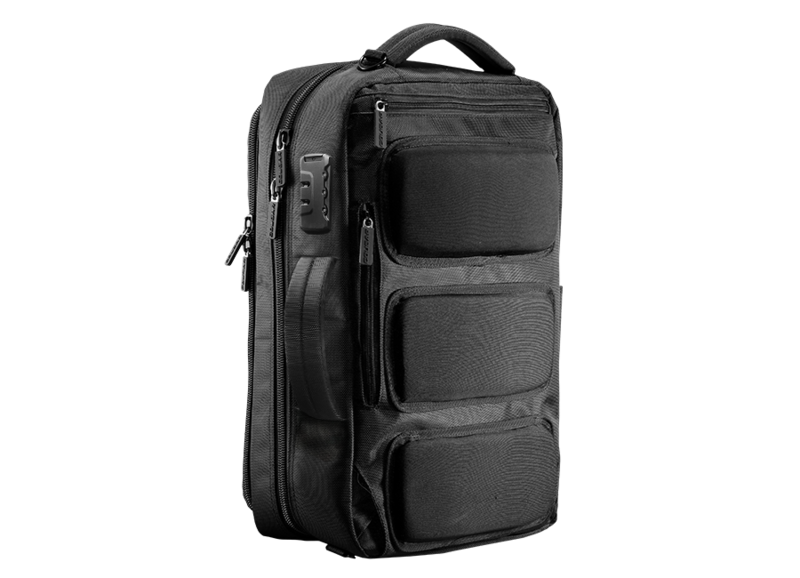 Fortress’ multi-layered structure allows you to keep everything tidy and protected, with space for every single thing a gamer might need. 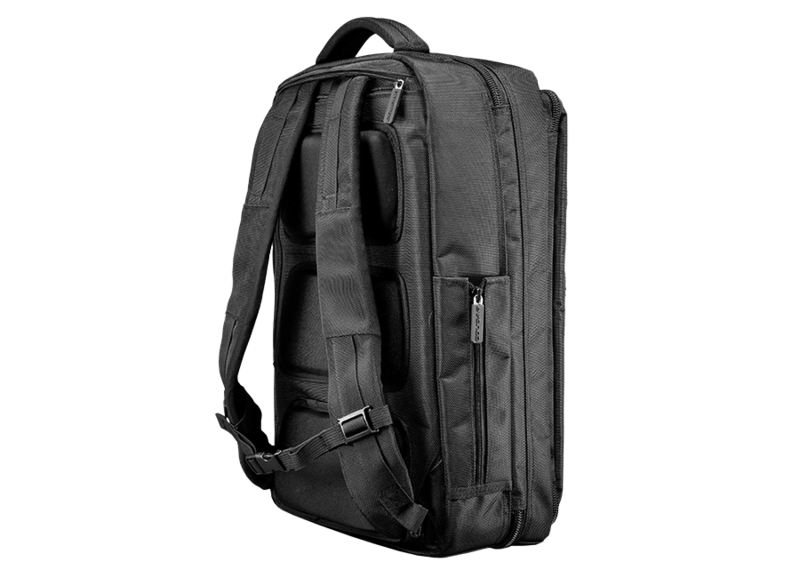 Gaming gear is expensive, and nothing ruins a gaming trip like an unfortunate impact that breaks your laptop. 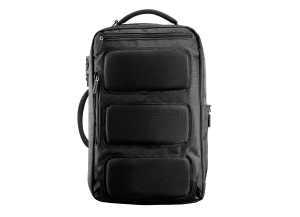 To protect you against these dangers, Fortress features a shockproof anti-vibration structure that minimizes or nullifies the damage from impacts. 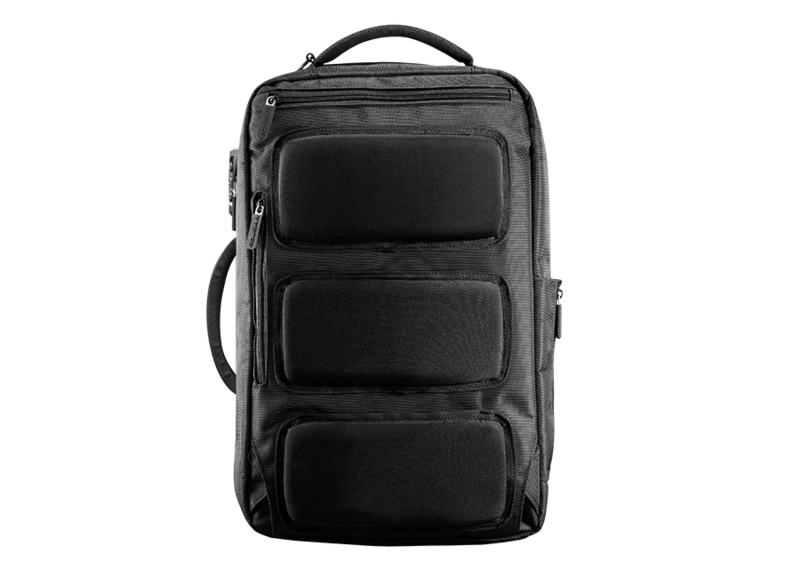 Fortress strives to protect the single most crucial piece of equipment: your body. 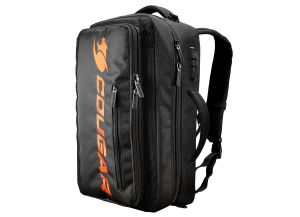 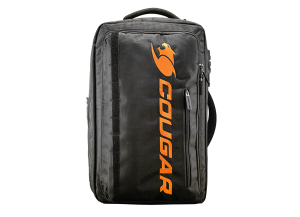 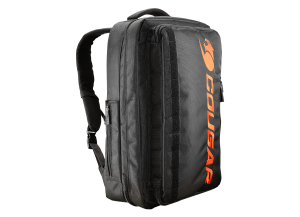 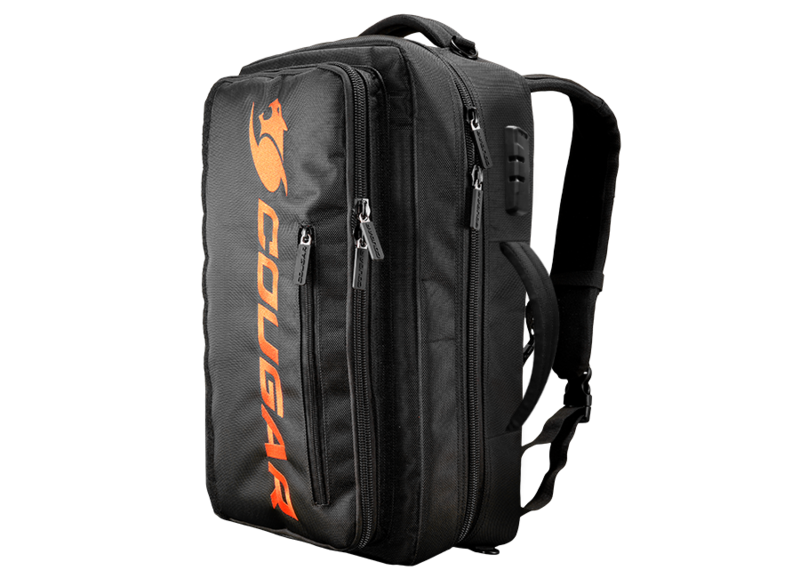 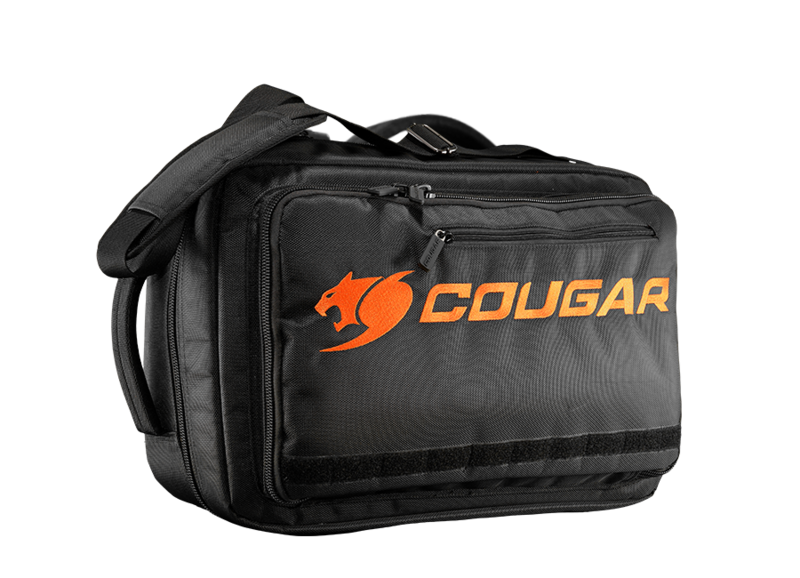 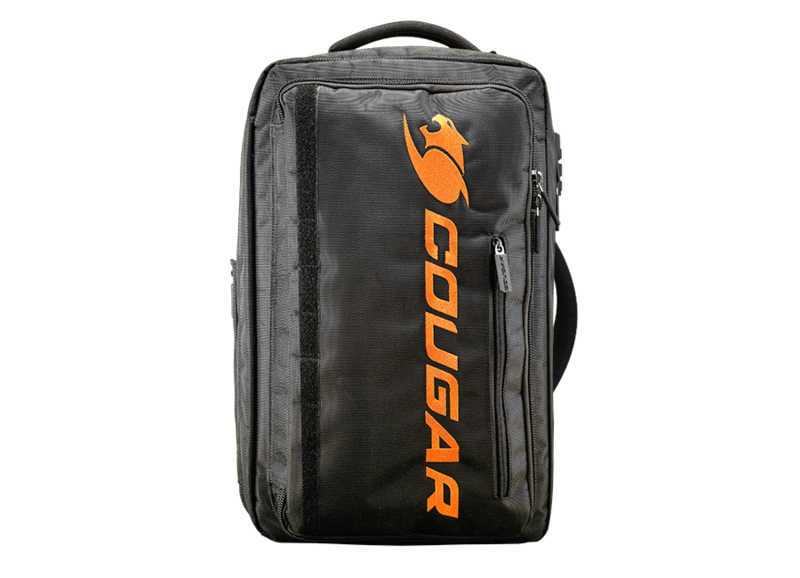 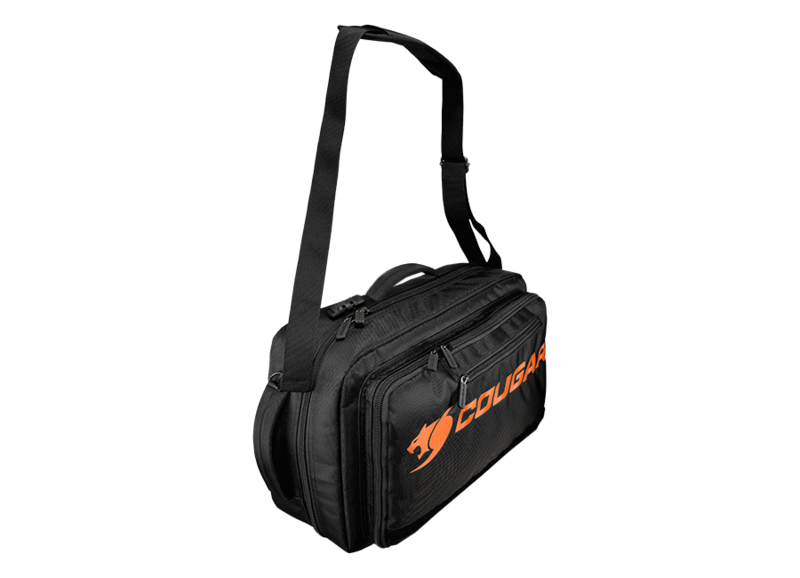 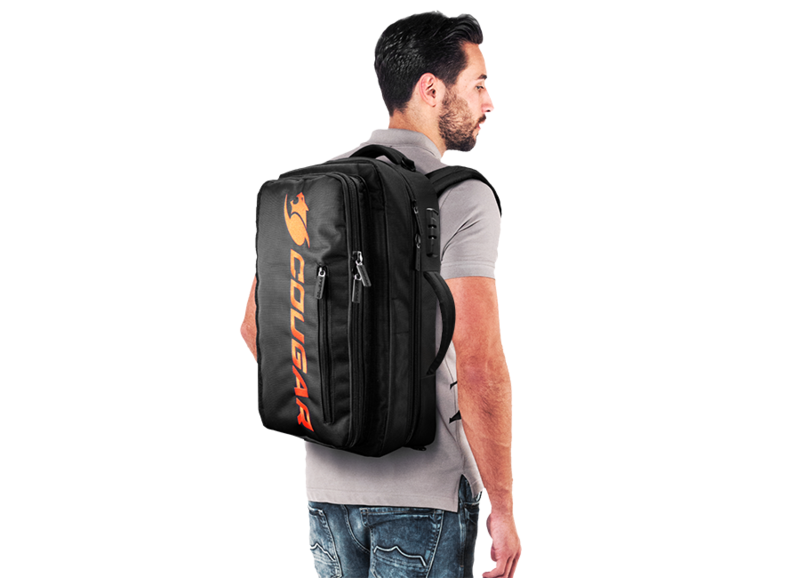 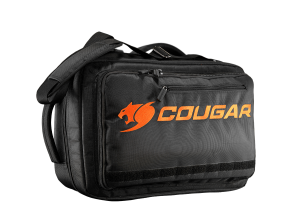 Its padded back panel makes wearing it highly comfortable, and its chest strap reduces the pressure on your shoulders and redistributes it to protect your back. 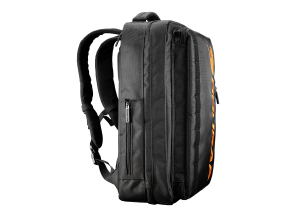 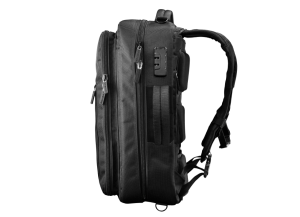 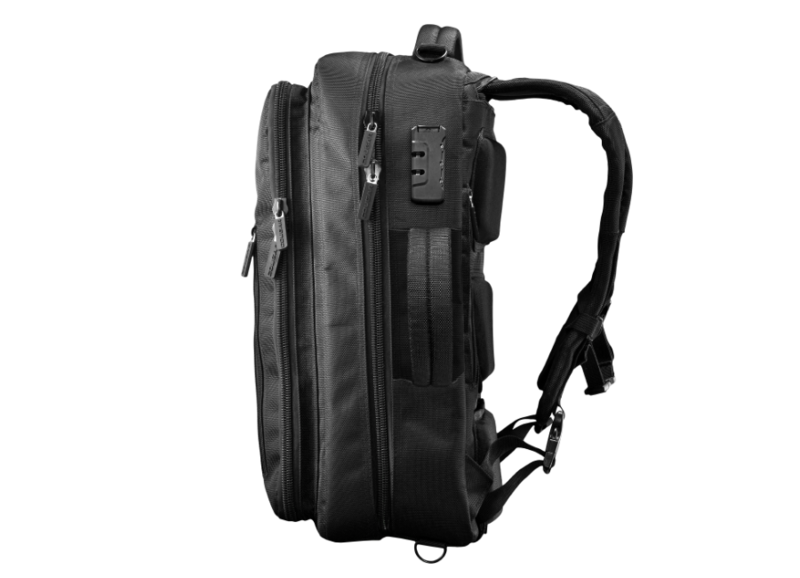 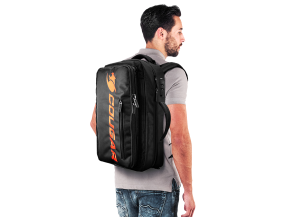 Fortress can be used both as a backpack and as a shoulder bag, to fit all gamers’ functional and style requirements.